BUT, amazingly, only one item suffered on the trip! And while I checked the time a lot for the rest of that day, I was so busy/active that I didn’t notice when the ring disappeared… Just noticed it was gone when I bedded down for the night. 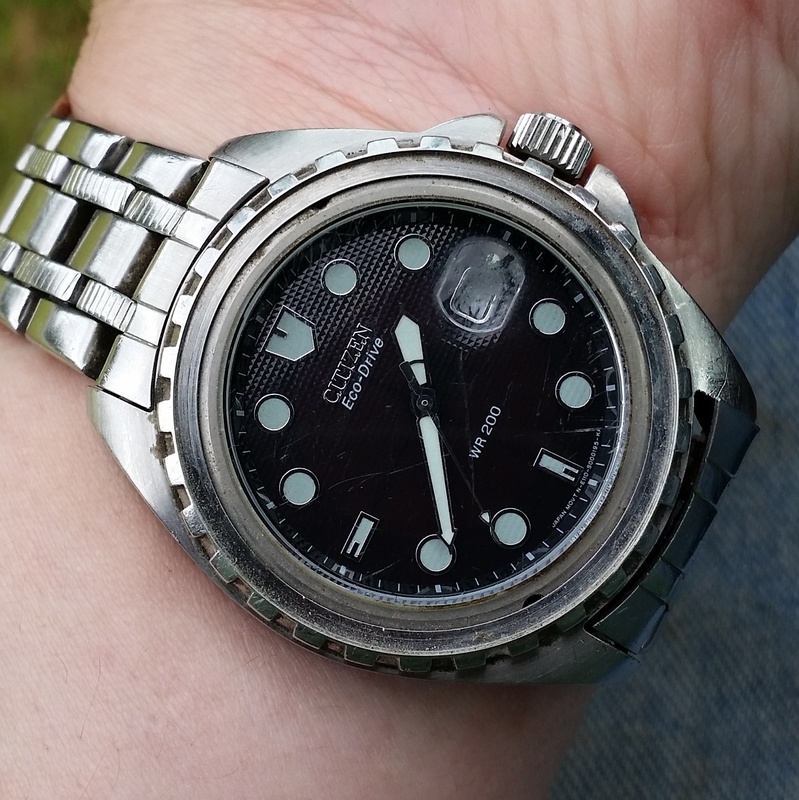 Just before I’d used it and knew it was there, we’d just hiked the 2nd half of the portage, a 1/4 mile of tight steep winding rocky gorge, where I made three trips through total… I probably clicked it on some rocks, and if it was already loose from previous use/abuse (not like this watch has led a cushy life so far!) it’s understandable that it could be loosened more and come out later in the day.